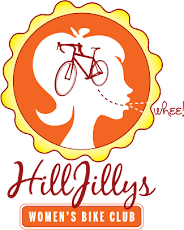 Two opportunities to ride with the HillJillys this week! Carmen returns with the mid-week ride on Wednesday, leaving Ragle Park in Sebastopol at 6pm. Exact route TBD, but the evening timetable and shortening days make for an intermediate-advanced level pace--be sure you're comfortable riding at a good clip! The HillJillys hit our local fave: Annadel. Meet on Channel Drive at 9:30am, at the bottom of Cobblestone, led by Kim. As always, beginner-friendly, everyone welcome, and no one left behind!